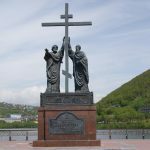 ORIENTAL REVIEW publishes a briefing of the series of articles by Konstantin Penzev recently posted by the New Eastern Outlook (here, here and here). He carefully reviews the sources of the global narco-culture tracking back to the clandestine experiments done in the military laboratories of the United States as early as in 1950s, the narco-dimension of the Vietnam and Afghan wars, the true causes of the golden age of Medellin in 1980s etc. The author states that the international narco-business is blossoming for the last 60 years under the aegis of DIA, DEA and CIA. 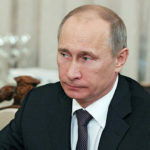 Recognizing that his overall interpretation of the US interests in the conflict zones are correct, we however think that the main beneficiaries of the drug market are not the US public agencies, but supranational mafia-type elitist groups who directly influence the US political class and control American secret services. MDMA, aka Ecstasy, was tested in the 1950s by the U.S. Army on animals and those who American generals considered as animals. In the early 1980s, the properties of this new wonder drug were trumpeted by the free press, and ecstasy became one of the best friends of American youth. In 1985, the U.S. Drug Enforcement Administration banned MDMA. 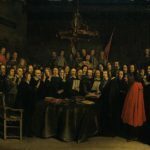 Eventually, this had to be done, and they did it – but the demand had already been created. 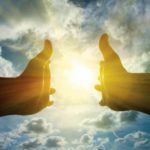 So the assertions that neither U.S. government agencies nor pharmaceutical companies were involved in the development and promotion of ecstasy are inaccurate to say the least. Well, pharmaceutical corporations are doing business on everything including human health. But how can the government of the United States, the bastion of Freedom, Humanism and Democracy, be engaged in drug trafficking? There is a strong suspicion that it is, and in large volumes, i.e., hundreds of tons and billions of dollars. We will not delve back into those heavenly days when the British Empire was selling opium to China. This trade was definitely ended by Comrade Mao Zedong. But the question “What were the Americans looking for in poor Vietnam?” remains unanswered and is closely linked to the American interests in the Asian opium market. 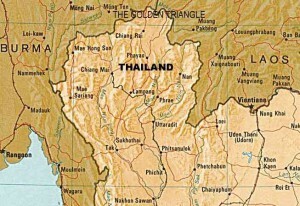 The Golden Triangle is a geographical area located in the mountains on the border of three countries of Southeast Asia – Thailand, Myanmar and Laos. For a long time the overwhelming quantity of the world’s heroin was being produced there. Imagine that in the immediate vicinity of this pirate chest, stuffed with hundreds of billions of dollars, a severe communist regime, hostile to any kind of bourgeoisie and drug traffickers, emerged. What a collision! The people in the Golden Triangle lived like in a colony. Collection of opium and heroin production was in hands of the local field commanders. But who was behind all this, and controlled the business, was unclear. 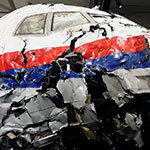 But it is well-known who delivered heroin to the U.S. Everyone who is really interested in the matter knows that it was done by the military transport aircrafts of U.S. Air Force. American Gangster, the Ridley Scott’s film (2007) describes the large scale heroin supply from the territories of American air bases to small wholesale dealers and then down to small retailers. The film plot was based on real events. 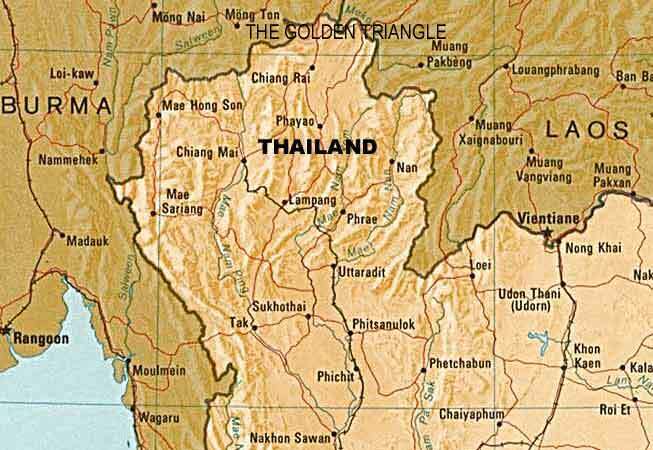 If the Golden Triangle had turned out to be the only area in the world suitable for cultivating of opium poppy, the Vietnam War would have probably taken a totally different turn. But much to the delight of the beneficiaries of drug trafficking, opium poppy grows in many remote corners across the planet. These corners are inhabited by poor and, therefore, not very choiceful people. Besides, opiates are not the only way for drug addicts to withdraw from the disgraceful reality. True or not, but immediately after the United States left Vietnam in 1973, the South American cocaine cartels drastically expanded their activities. This expansion was accompanied by the encouraging electric-guitar chords (well, who doesn’t remember “Cocaine” by Nazareth?) and the loud promises of the U.S. administration to square it. In the meantime, Hollywood was raising the stakes and elucidating in detail the struggle of brutal machos against some incorrupt American police officers. Pop stars hurried to confess cocaine dependence, whilst the death of some of them through overdose even became rock music legends. The epic story of the birth, struggle and death of the Medellín cartel is well known. In the 1970-90s, it virtually monopolised the cocaine production in Colombia. They started buying Latin American public figures and politicians. As you know the morals of the latters were simple and uncomplicated at that time. If they are offered money, they took it and later on they promised that all corrupted offenders will be shot. It is obvious that, in a sense, Escobar and his boys were protecting their investments. The White House Administration did not like it, so in 1984 it decided to declare a “crusade” against the cocaine empire of evil. It challenged the cartel. In response to the strategic initiatives of the US Administration, the savage dogs of the Medellín cartel did not surrender, so the so-called Andean Triangle turned for a few years into a living hell where a human life was worth absolutely nothing. By the early 1990s, the “cocaine war” had generally finished with the unconditional victory of democracy. 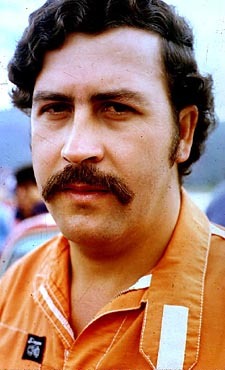 All of the Medellín cartel’s bosses had been either killed or arrested. And so what? 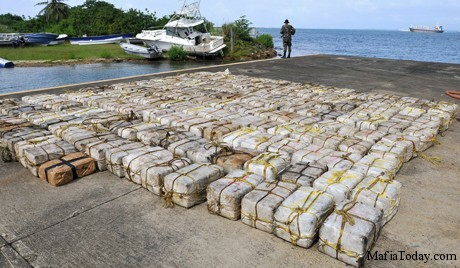 Does it mean that the American intelligence services put in place a secure protection against the cocaine multi-tonnes flow onto the territory of the United States? Not at all. 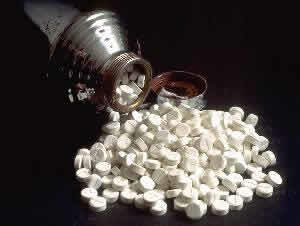 According to a research conducted by Yuri Latov (Russian Ministry of Internal Affairs), the dynamics of the cocaine retail prices shows that the effectiveness of the war against the cartel was questionable: in the 1984-1988, a kilo of cocaine became five times cheaper in the USA – the price plummeted from 300 thousand dollars per kilo to 60 thousand. During that period, this type of drug became much more affordable in the United States than before. How was it possible? Have disrupted supplies and shortage of goods ever led to lower prices? This is just not possible. As has been pointed out above, the Medellín cartel’s monopoly in the 70-80s of the last century caused the prices to go up in the USA, and that factor was constraining the spread of the drugs and reducing the client base. And what did the destruction of the cartels lead to? Yuri Latov observes that, by the end of 1990s, a paradoxical situation had emerged in the Andean Triangle: nearly all of the more or less significant drug traffickers were either in prison or had been killed, and still the export cocaine flow had not decreased, and the plantations of this drug crop had not reduced either. However, it is not paradoxical at all. This is how market-regulated pricing is introduced in societies prone to juntas and monopolies. Bearded bandits were replaced by clerks wearing white shirts and carrying laptops. This is called civilization, and this is how it differs from a criminal lawlessness. Can anyone say that the CIA’s activity was ineffective? Not in the least. It is clear that it is the result it had been striving for. A high-quality product at an affordable price – that is the ideal of the work of the market economy. If Pablo Escobar had not practised shooting so much and studied the principles of the market economy instead, he would have radically changed the strategy of his firm and would have lived much longer. 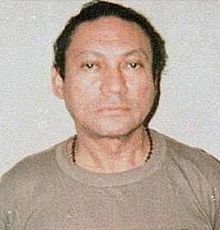 The Colombian cartel story is only one of the episodes from the extensive work carried out by the US DEA in Latin America. You see? Just think about it. The CIA rejected the general’s services, but he (what a brat!) continued engaging in the trafficking of weapons and drugs, that is, he kept doing what he used to do while serving Washington. But we can understand the general, can’t we? Bush (senior) not just sacked the devoted CIA staff for nothing, but it looks like the general didn’t even get any severance pay. So he had to continue earning money in a way he got used to. On 15 November 1996, Michael Ruppert – an officer of the anti-drug division in Los Angeles (here he had worked 20 years) – made a public statement in front of CIA Director John Deutch and accused the organisation led by the latter of supplying drugs onto the US territory. A month later, John Deutch left his post. No, the CIA director had not treated his friends to cocaine during working meetings in Washington. It’s just that his computers had some problems regarding secret access. Peter Dale Scott, a former Canadian diplomat and Professor at the University of California, writes that the CIA’s involvement in and responsibility for global drug trafficking is a taboo subject in political circles, election campaigns and the mass media. Those who have tried to violate this ban, such as journalist Gary Webb, have paid with their career. The problem is absolutely clear. The multi-billion-dollar operations with drugs, with the involvement of the CIA and DEA, are getting increasingly bigger, whilst the officials of the world’s only superpower are getting more and more insolent. The situation in Afghanistan is a graphic example of that. As soon as Washington felt the urge to establish democracy in Afghanistan, the CIA agent Osama bin Laden popped up, claiming the primary goal of his life was to combat the Empire of Good – at the cost of his life. Mr. Osama was caught and killed, while the expeditionary corps of the US Army will remain in Afghanistan for as long as no one dares to predict. Things should seem fine: the goal is accomplished, the bad guys have been defeated, and American warriors can pack up their belongings and say goodbye to their Afghan friends. No way. There is nothing of the kind happening. Sure, the numbers of the expeditionary force are growing smaller, expenses for its upkeep are being cut down, and these are quite reasonable steps to be taking, with consideration of America’s unstable financial condition. However, this does not mean that the Americans are going to leave Afghanistan. Why is Washington not eager to take American troops away from Central Asia? To answer this question, we should reply another one – what is the actual reason for the American invasion of this country? Let us study some figures. 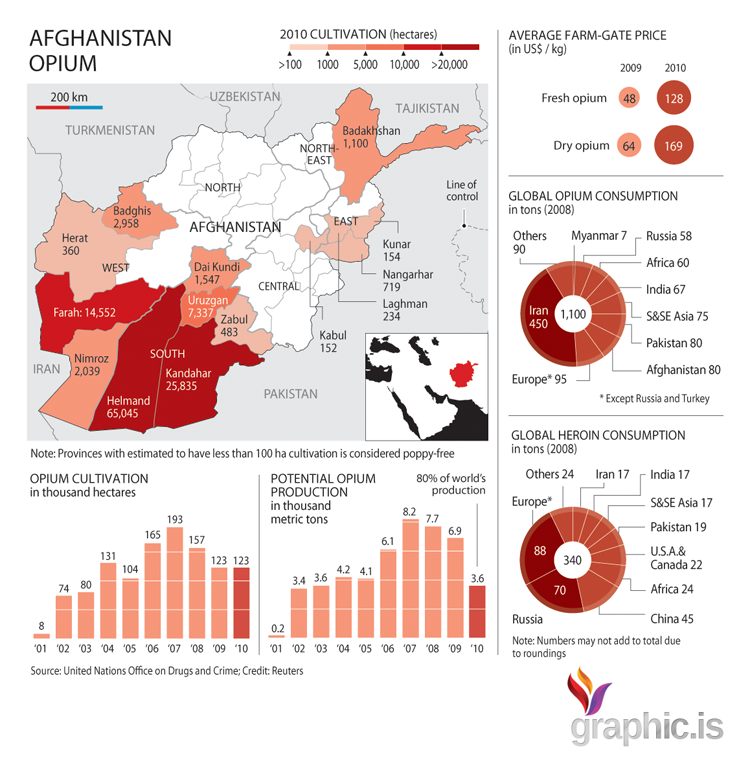 According to data provided by Aydar Makhmadiev, a former officer of Tajikistan’s Drug Control Agency, in 1999, Afghanistan produced 4,565 tons of raw opium, in 2000 (in July 2000 the Taliban prohibited people from growing poppy) the total production dropped to 3,276 tons; in 2001 (when the prohibition was in full effect) – 185 tons, in 2002 (after the U.S. attacked Afghanistan and the Taliban regime was defeated) – 2,700 tons. In 2003, the figure increased to 3,400 tons, in 2004 – to 4,200 tons, in 2005 – to 4,100 tons, in 2007 – to 8,200 tons, and so on. 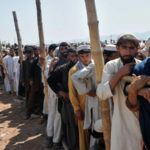 The most prominent date in this line is 2001, when opium production in Afghanistan was almost fully eradicated by decision of the Taliban leaders. What happened after that? 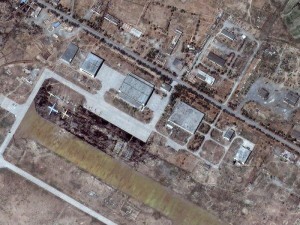 Satellite photo of the US air base Bagram in Afghanistan. A large number of transport aircrafts being loaded by unidentified cargo are clearly seen. All of us know the story about the skyscrapers destroyed on September 11, 2001 and heard about different versions of who was the mastermind behind these attacks. George Bush Jr. asserted the attack was organized by Mr. Osama and the Al Qaeda (the latter is now fighting for democracy in Syria) and demanded that the Taliban turn them over; we do not know exactly whether the Taliban refused to satisfy Bush’s demand, or they simply did not know where those people were located. Anyway, on October 7, 2001, cruise missiles, strategic bombers and super-heavy Daisy Cutter bombs were put to work. All that equipment exploded, roared, rattled and howled, along with other impressive sound effects. The Afghan peasants were shaken by the American might and power. Certainly, the Taliban cavalry could not oppose the overwhelming striking power of the U.S. Army. They say the Taliban also had an air force, anti-aircraft defences and tanks which American soldiers liked to have on the background while taking pictures. Anyway, one of the largest operation in the U.S. history, organized to write off obsolete weapons and test the new ones, was completed successfully. 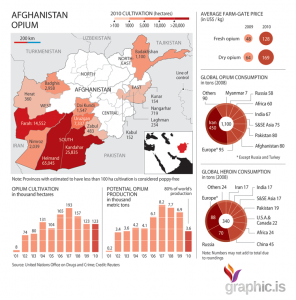 The Taliban regime was crushed and the Afghan workers, inspired by new democracy, increased their rate of raw opium output, and of course, the use of heroin in Afghanistan increased as well. Gayane Chichyakyan, an RT journalist, claims that 300,000 Afghan children are now taking drugs. The major share of Afghan heroin (over 70%) is smuggled to Europe through Kosovo, or, more exactly, through mafia-type criminal groups composed of Kosovo Albanians. According to Viktor Ivanov, Director of the Russian Federal Drug Control Service (FDCS), there are about 15 large drug cartels operating in the territory of Kosovo. They organize transit of Afghan heroin and Latin American cocaine to Europe. In drug traffic to Europe, special significance is attached to the Balkan route from Afghanistan for which Kosovo is a key element. There, heroin undergoes pre-sale preparation and repackaging before it is shipped to the European countries. In Kosovo, 1 kg of heroin was sold for about 10,000 euro in 2011, while in Western Europe it was traded at 150,000 euro (compare this with the price of $1,000-2,000 per kilogram at the Tajikistan-Afghanistan border). 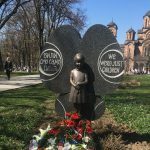 The Kosovo mafia does not make huge amounts of money (relatively speaking) from drug trafficking, with their income estimated at $3 billion per year; and they have to serve their masters with true passion, and not repeat the mistakes of the Medellin cartel. However, who are the real masters of these Albanian pistolleros? In 2008, the Kosovo Albanians proclaimed unilaterally (certainly, with support from the U.S.A and the EU) the independence of Kosovo from Serbia. Thus, Serbian police were denied access to this region to perform their operative work. Yet, even this is not the point. The newly organized drug-dealing area does not have any military power or political influence. Its so-called sovereignty is based on direct military support of the United States. This may look like Washington-style humour, but the first country to recognize the independence of Kosovo was Afghanistan – it did so even earlier than Cost Rica, with consideration of the difference between their time zones. Obviously, donkeys loaded with packs of heroin had waited too long, so it was high time to unload the poor animals. In Kosovo, the United States is keeping two military bases, the first being Camp Bondsteel, one of the largest bases in Europe located near the city of Ferizaji (Uroševac). Its construction began back in 1999. Now it includes the headquarters of the Multinational Task Group East under the U.S. command. The second base is Camp Monteith. This is all so simple, my friends. No matter what the conversation is about, it is always about the money. Think of this for just one minute: does the White House have a plan, or does it operate as if it had an outlook of a microbe? It is like this, the Kosovo Project is a plan to create and organize Europe’s largest drug dispensary (not a treatment facility for drug addicts!). Kosovo means hundreds of billion dollars generated by the drug trade – and no tax declarations to fill out. The Albanians are a poor nation, and they do not refuse to do some dirty work. 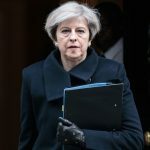 Their criminal clans owe everything they have to Washington – the power, the money and the authority among the other scum of Europe, together with the terror they bring to its citizens. The most important thing is that they are forced into obedience by the fear of revenge. 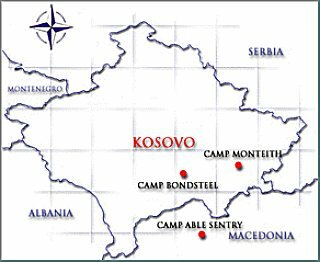 Should Washington abandon the military and political support it is giving to the Albanians of Kosovo, how would the Serbs react? Let us make some conclusions. According to Professor Peter Dale Scott, a former Canadian diplomat, CIA efforts in promoting Afghanistan to the leading positions in the world’s heroin traffic repeated the story that had once happened in Burma, Laos, and Thailand in the period from the 1940s to the 1970s. These countries had also become the largest drug traffickers thanks to the US support. “The main source of global drug problems is not in Kabul but in Washington,” Peter Dale Scott insists. So, let us ask ourselves again: What is the role of the United States in organizing global drug trafficking?